There are so many images online! Yet, finding a similar image to the one you want is hard because you have to browse through hundreds, thousands, or even millions of them. One of the ways to ease the task is to use a reverse image search engine. 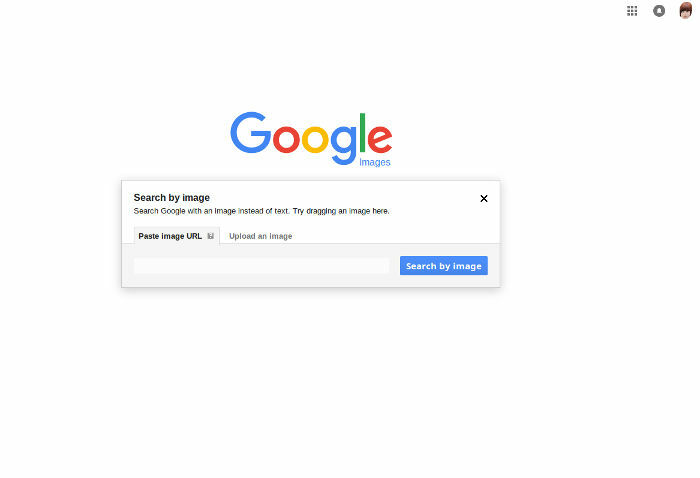 What Is a Reverse Image Search Engine? A reverse image search engine is different from a normal search engine. Instead of entering a search string, you upload an image, and the search engine finds the same image or a similar one. Perhaps you are thinking all of this is cool, but does it have any practical use? Yes, it does, as you will see. Why Use a Reverse Image Search Engine? There are many reasons to use a reverse image search engine, but let’s narrow them down to the following three. Very often when you browse online, you find an image you like, but its quality is not good. You strain your eyes to see what’s in it to no avail. Wouldn’t it be nice if you could find a higher quality version of the image (i.e. a larger/sharper one) or at least a similar image you like more? This is where reverse image search engines come to the rescue. If you plan to get some images (free or not) for your site, you’d better first check who else is using the same image. When images haven’t been taken by you personally, chances are someone else may have used them. Even if you buy a image, unless you pay for the exclusive usage rights which is expensive and still not a guarantee no one else will be using it, it’s a sure thing the same image will be used on other sites, too. You don’t want to be the 100th site that uses the same image, right? Just perform a reverse image search to see if the image you plan to use isn’t really popular. Another case when you might want to check if a particular image is used online is with your own photos. If you upload photos online, it won’t hurt to check where they end up and take action, if necessary. For instance, if you upload your vacation photos and they end up on a travel site without your permission, you can take steps to remove them. One more good use of a reverse image search engine is for finding similar images. You like an image, but it’s not exactly what you want. Hit a reverse image search engine and see what they suggest as similar images. You don’t always find similar (from a human point of view) images, but very often these engines do help, especially in more popular image niches. 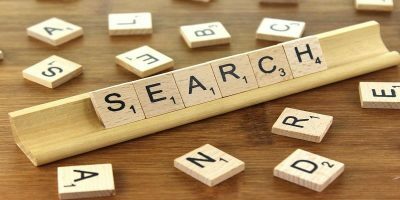 Now that you know how beneficial a reverse image search engine can be, let’s see some examples of them. There aren’t dozens of reverse image search engines, but the few that exist aren’t bad. 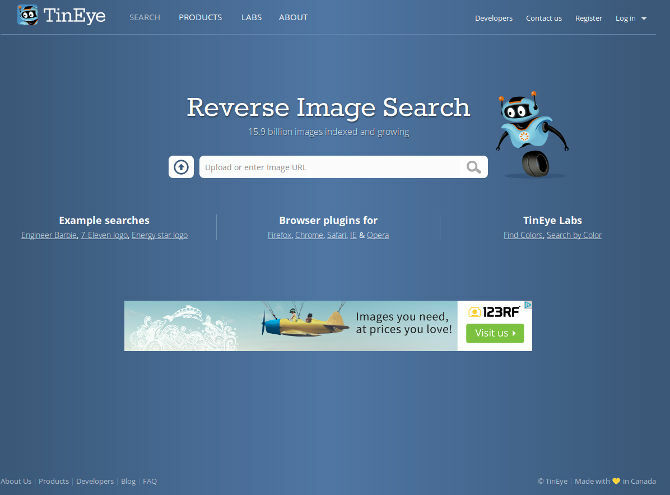 Here are the three best reverse image search engines. 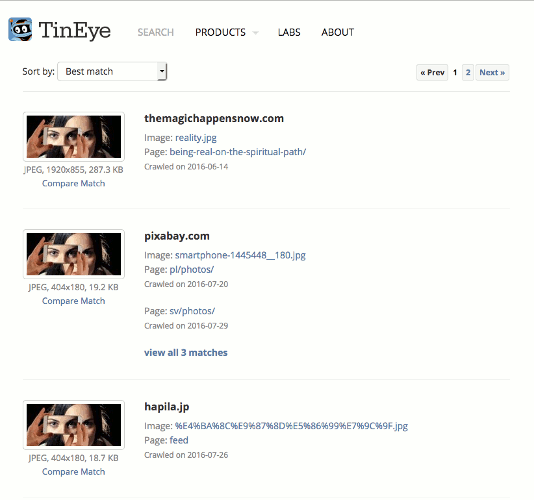 If Google Images has a real competitor, it must be TinEye. This company is the pioneer of reverse image search and has a huge index of images (and the index is different from that of Google Images). Otherwise, its use is similar – upload an image (or enter its URL) and click Search. 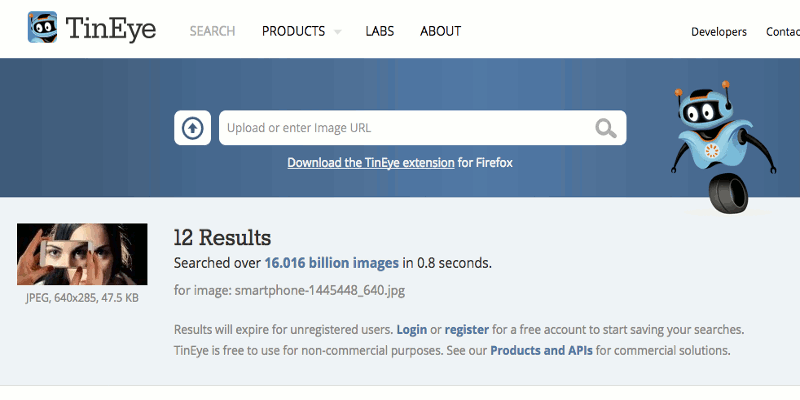 TinEye has browser plugins for Firefox, Chrome, Safari, and IE. You can also search for images by color. 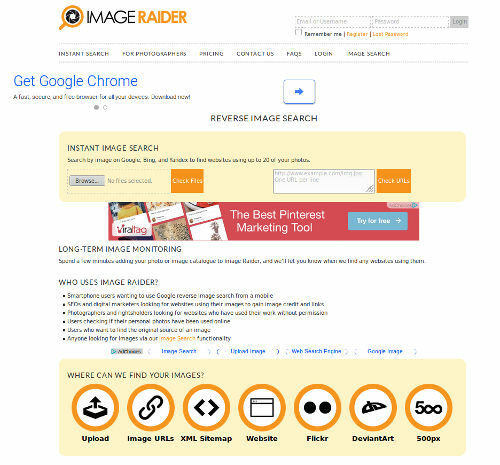 Unlike Google and TinEye, Image Raider is not free, but it’s very affordable – 300 credits for £1 on a subscription or 200 credits for £1 on ad-hoc (non-subscription) orders. Each check of an image costs one credit. If you tweet about the service, you get fifty free credits. Image Raider uses Google, Bing and Yandex search results and aggregates them. Bing and Yandex also have reverse image search, but I didn’t review them separately because they aren’t as good as Google Images or TinEye. One of the perks of Image Raider as a paid search engine is that you can search for up to twenty images at a time. This saves time and is good for large scale/professional use. They also offer to upload your image once and have it checked for unauthorized use in the future. Reverse image search engines do a great job, yet they aren’t very popular simply because not many people know of them. 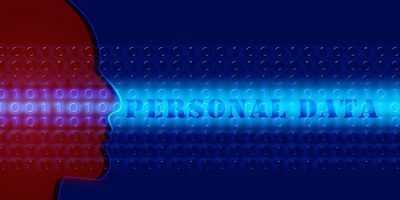 These search engines aren’t perfect either – they do have their limitations, and to be fair the quality of the returned results isn’t as good as the quality of text searches. This is because indexing images is more difficult than indexing text, and it requires other algorithms that don’t generate as good of results as text search algorithms. Still, reverse image search engines are a very useful tool, and if you haven’t used them by now because you didn’t know about them, now you can.